As many public radio stations mentioned at the time, this past July 14 marked the hundredth anniversary of Woody Guthrie's birth. Among all his other great musical achievements, Guthrie recorded an album of songs for kids way back in 1947 (it's still—or, I should say, again—in print, actually!). 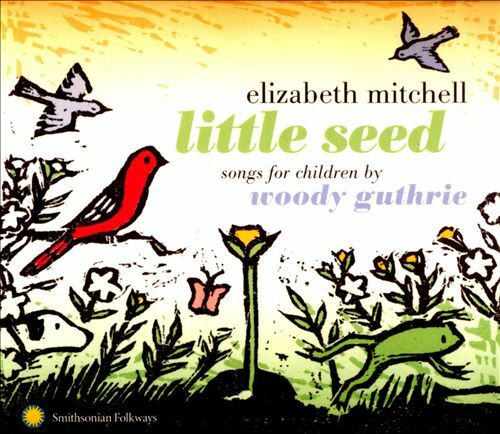 Modern-day kids' musician Elizabeth Mitchell, whose last album, Sunny Day, was one of our family's favorites of 2010, marked that anniversary by putting out her own collection of Guthrie's kids' songs—many from that very album, though others (like the not-actually-written-for-kids "This Land Is Your Land") are also here. 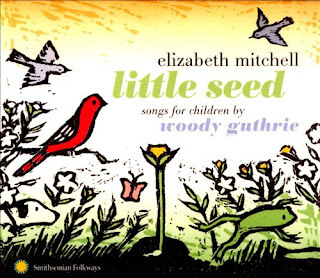 On Little Seed, Mitchell as usual gives each song her uniquely sweet gentle touch (these versions have far fewer rough edges than Guthrie's originals), and is joined by family members and other musical friends on many tracks. 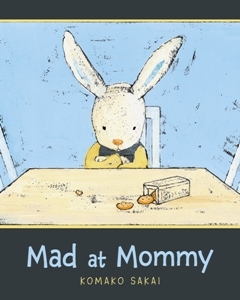 I don't know if Komako Sakai's 2010 picture book Mad at Mommy will be considered a classic or not, but as far as we're concerned, it oughta be. Our four-year-old has recently rediscovered it and taken it very much to heart. In a way, the title (along with one's expectations that a picture book for young kids will generally have a happy ending) reveals all you need to know about the plot: Our protagonist, a young bunny, is angry at his mommy bunny for...well, all sorts of terribly unjust things. She sleeps late sometimes and makes him wait for breakfast. She hogs the TV for boring adult programs so he can't watch cartoons. She even says he can't marry her when he grows up. In fact, he's so mad at her that he decides to leave home. Which he does. For a minute, anyway. the most famous example. As always in such cases, it's the author's execution that makes a take on the standard exceptional; Sakai is particularly talented at imbuing her bunny characters with emotion via their facial expressions—the slow burn of the seething kid bunny, the sympathetic-but-not-without-effort mommy bunny. The effect is to give Mad at Mommy a realistic feel—since we've all, parents and kids, been there many, many times—that brings a smile to recognition to all and, thanks to the expected turn at the end, still delivers on the warm fuzzies. As for why Griff has suddenly taken hard to Sakai's book...well, we're just going to leave that one alone as long as we can. Illustrator Seymour Chwast is renowned for his long career of, well, illustrious commercial design work. Chwast's style, once you've seen it, is instantly recognizable, both for its cultured-cartoon look and for its ever-present twinkle of humor (often dark humor, since he never shrank from topical subject matter). 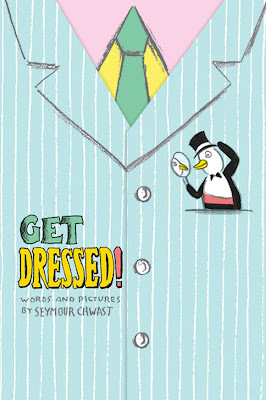 So it's not surprising that a picture book by Chwast would be smart and pretty much irresistible—but just to be absolutely sure, he gave Get Dressed! flaps, too! It's a simple book for the very youngest readers—minimal text, lots of manipulation and variety of illustrations—addressing the command in the title in various situations and various times of day. In each situation, Chwast lays out all the options, presenting the reader with a sort of virtual walk-in closet, each item labeled Richard Scarry–style. Young kids will adore Get Dressed!, and like all of Chwast's work, it'll tend to bring a smile of admiration to parents' faces as well. Philip C. Stead established himself as an author with a talent for channeling the charm of classic children's books last year with his and his wife, Erin's, breakout hit A Sick Day for Amos McGee. 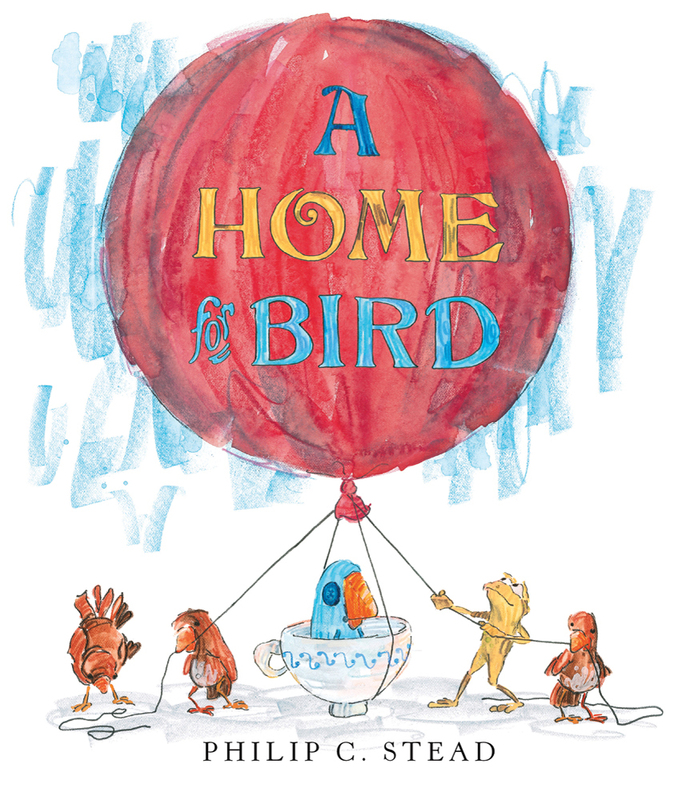 His follow-up, A Home for Bird, which came out earlier this summer—and which he not only wrote, but illustrated as well—more than upholds the standard, capturing the sweet, slightly wistful quality of a certain brand of kid lit (with roots that go back at least as far as Winnie-the-Pooh) in both his narrative and his exquisite crayon-and-gouache illustrations. A Home for Bird is really about Vernon, an almost painfully earnest toad, who one day encounters a colorful but silent and motionless bird while he's out "foraging for interesting things." (We know Bird is silent and motionless because he's made out of wood, but Vernon merely takes him for the quiet type.) He takes Bird to meet his friends Skunk and Porcupine, explaining to them that Bird is "shy, but also a very good listener," but the continued silence leads him to suspect that his new friend is sad about something. The three animals decide that perhaps Bird is missing his home, and so Vernon resolves to get him back to it—something of a challenge, given that he has no idea where or (even what) that home might be, and of course Bird can't tell him. Undaunted, Vernon sets sail downriver with Bird (in a teacup he's found) and finds several possible places of Bird's origin—but his friend's silence tells him he hasn't discovered the right place. So Vernon ties their boat to a helium balloon to explore further; wondering aloud, in a moment of fear and doubt as they take off, whether this was a wise move, he takes Bird's silence in response as impressively stoic bravery. They eventually touch down near a farmhouse, where a surprising yet remarkably uncontrived happy ending awaits both adventurers. It's a neat trick to write a fully original picture book that has all the best qualities of a classic of the genre. I think it's safe to say at this point that this author has the knack. Our three-but-almost-four-year-old, Griffin, is showing some trends in the picture books he takes most interest in these days: adventure, and friendship. 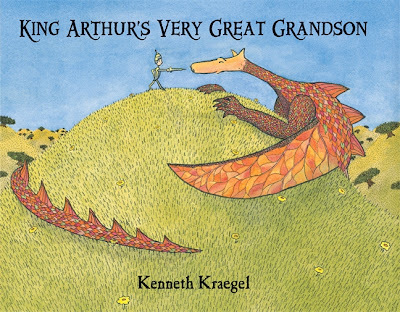 Kenneth Kraegel's King Arthur's Very Great Grandson hits the sweet spot, and has accordingly earned a place of honor next to Griff's bed over the last month. 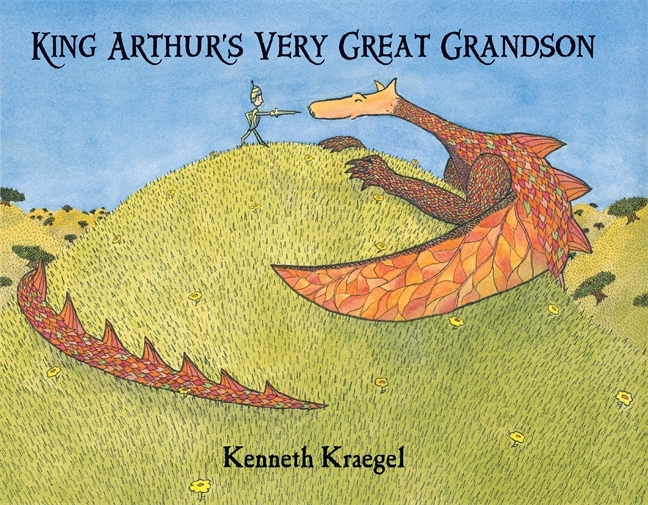 The book's charmingly colorful illustrations tell the story of Henry Alfred Grummorson, who (much like Griff this week) is having a birthday: He's turning six. He also happens to be, as the title hints, the great-great-great-great-great-great-great-grandson of King Arthur, and so he heads out on his trusty donkey for some suitable adventure. Adventure, however, isn't cooperating on this day, for everyone seems to misunderstand his challenge to do battle: The dragon he encounters just wants to see who can blow the best smoke rings; the cyclops wants to have a staring contest, and the griffin (clearly another reason Griff loves this book!) suggests a game of chess. At first Henry is, naturally, very frustrated about all this, and keeps marching off to find another fearsome creature who will accept his more martial challenge. Eventually, though, after an accidentally frightening encounter with the Leviathan of the deep (who just wants to be friends too, of course), he realizes he's been offered something much better by all of them, and at the end we see all of them puzzling over a chessboard together. To be honest, I'm a little surprised that Griffin, who can be on the feisty side, and doubtless shared Henry's frustrations earlier in the book, has found the book's conclusion so satisfying.